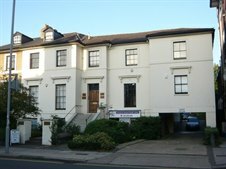 Being close to Surbiton train station 28 Claremont Road is a much sought after office building in Surbiton town centre. The last remaining office suite offers approximately 530 sq ft with on site car parking by way of separate licence. For further details please call David Keates on 020 8546 2166 or click here.